Apple Cider Vinegar benefits are well known for good health and it is considered as the most important ingredient when we talk about health, skin, hair including weight loss, reduced cholesterol, checked blood sugar level and even improve the appearance of skin and hair. 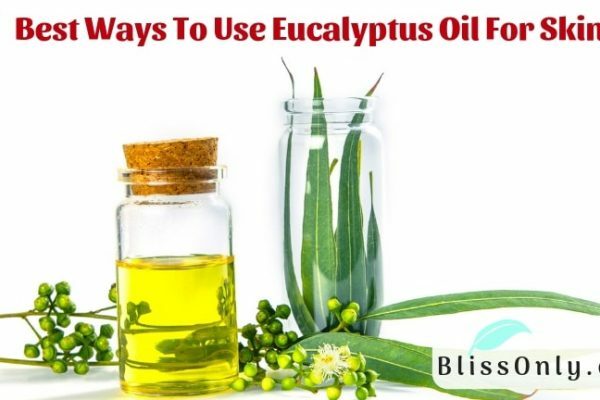 It is not just a vinegar that has surged in popularity in recent times rather its extensive list of benefits has been well known for centuries. Before we know about the apple cider vinegar benefits, we should know what’s and how it is made of. 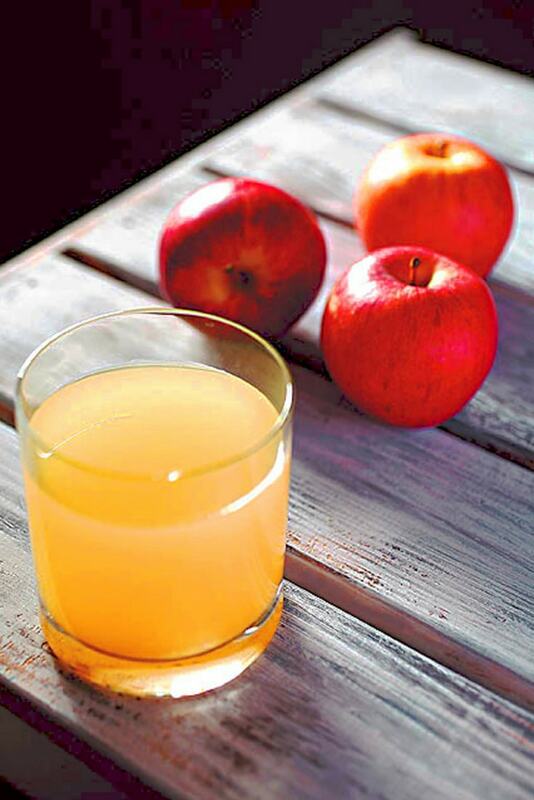 Apple Cider Vinegar (or ACV) is a vinegar made from apple, sugar, and yeast. It is made by crushing apples and squeezing out the liquid. Bacteria and Yeast are added to the liquid to start the alcoholic fermentation process, and sugars are turned into alcohol. In the second fermentation process, the alcohol is converted into vinegar by Acetobacter( Acetic acid forming bacteria). Acetic acid and Malic acid give a sour taste to vinegar. Apple Cider Vinegar has been a popular ingredient in weight loss diet. Many fitness gurus and natural health experts recommend adding apple cider vinegar to the daily diet. But is it really effective for weight loss? However, it should be kept in mind that drinking apple cider vinegar alone without any modification in your daily diet or lifestyle will result in minimal weight loss. If you really want to lose big pounds from your body then you should combine apple cider vinegar with a healthy diet and active lifestyle. One of the most popular benefits of apple cider vinegar which is verified by many studies is its ability to maintain normal blood sugar in the body. In order to keep blood sugar levels maintained, take one to two tablespoons of apple cider vinegar and dilute in 8 ounces of water and consume it before meals. Beside this try to take balanced carbohydrate intake, eat lots of protein and fiber enriched food items and get involved in plenty of physical activities. In a study blood sugar levels were found to be decreasing by an average of 31 percent through consumption of vinegar after eating white bread. (Source). Apple Cider Vinegar is also well known as probiotic. Probiotic is a live bacteria and yeast which is considered to be beneficial in preventing several health conditions. Probiotics are also referred to as “good bacteria”. In today’s modern society there are things like antibiotics, contraceptives, environmental toxins which kills good bacteria in a large number. Now that’s where Apple Cider Vinegar is beneficial as it contains a high concentration of good bacteria that kills the harmful bacteria growing in the stomach. So, it would be a wise decision to add Apple Cider Vinegar to your daily diet to avoid stomach problems. Recently it has been found that heart disease is the most common cause of premature death (Source). There are many reasons which could cause heart diseases such as high cholesterol, high blood pressure, high blood sugar levels and many more. That’s why you should opt for apple cider vinegar as it is quite beneficial for improving heart health. Apple Cider Vinegar contains potassium that balances sodium level in your body and maintains optimal blood pressure. 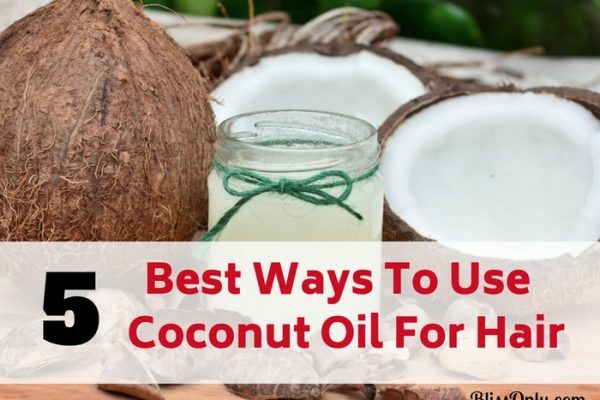 It also contains acetic acid which helps in lowering cholesterol level and as mentioned above apple cider vinegar is very beneficial in maintaining blood sugar levels. So, in order to improve your heart health include one or two tablespoons of apple cider vinegar in your daily diet. Beside this, you should reduce the intake of sugars and refined carbohydrate and include healthy fats in your diet like having few servings of fish per week. If you are having digestive issues then apple cider vinegar might just be the solution. It fights with many digestive problems like constipation, heartburn, gas, low stomach acid and many more. Apple Cider Vinegar stimulates digestive juice which helps your body break down food and as a result, the constipation problem will get reduced. It maintains stomach acid levels which would give you relief against heartburn. Including one or two tablespoons of apple cider vinegar in your daily diet should be beneficial for your digestion. Besides you can avoid eating junk foods and get involved in physical activities and drink plenty of water. Apple Cider Vinegar helps detox the body. It encourages a variety of healing process for skin and blood and helps in removing harmful environmental toxins built up in your body. Through the process of detoxification of the body, Apple Cider Vinegar helps in improving natural blood filtration process. Thus you should make Apple Cider Vinegar your health partner to make yourself healthy and live your life to the fullest. Apple Cider Vinegar is very beneficial in maintaining blood sugar levels in your body. It even improves insulin sensitivity. Take one to two tablespoons of apple cider vinegar and dilute in 8 ounces of water and consume it before meals. Apple Cider Vinegar may help in increasing satiety which would help you in reducing your intake of calories and accelerates weight loss. Try diluting one tablespoon apple cider vinegar, one tablespoon honey, one tablespoon lemon juice in a cup of lukewarm water. Drink it on empty stomach. Apple Cider Vinegar effectively works for detoxification of the body It balances your pH and enhances circulation by stimulating lymphatic drainage. 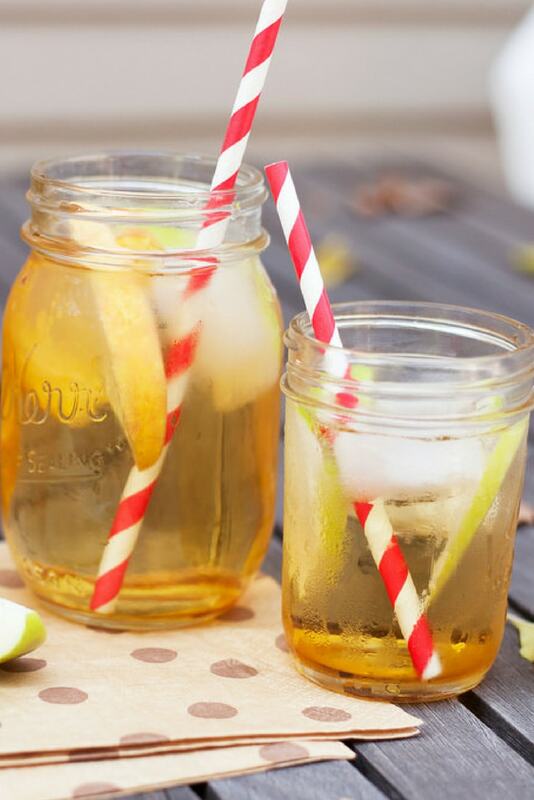 Drink one to two tablespoons of apple cider vinegar with a cup of water every day. Apple Cider Vinegar can be used to make homemade salad dressing. It would be much healthier and tastier than those which are bought from stores. Apple Cider Vinegar is also used to make a facial toner. Mix one part apple cider vinegar to two to three parts water. Apply it to your cleansed skin with a cotton pad, let it sit for about 15- 20 minutes and then rinse it. You can also let the toner to naturally dry on skin then apply moisturizer. Try applying it one to two times a day. Apple Cider Vinegar contains acetic acid which has an alkalizing effect on your body and maintains optimal pH level in the body. Taking 1-2 tablespoons of Apple Cider Vinegar every day would do a great job in balancing pH level in your body and get you healthier. A detox bath is very beneficial to your health, it drains out toxins from your body and helps you ease stress, improve your sleep and better concentration. Add one cup of apple cider vinegar, two cups of Epsom salt and few drops of lavender essential oil to water. Do this twice weekly. If you like spending some time in the sun but can’t get rid of sunburnt skin then apple cider vinegar would be a great natural remedy for you to soothe dry, sunburnt skin. 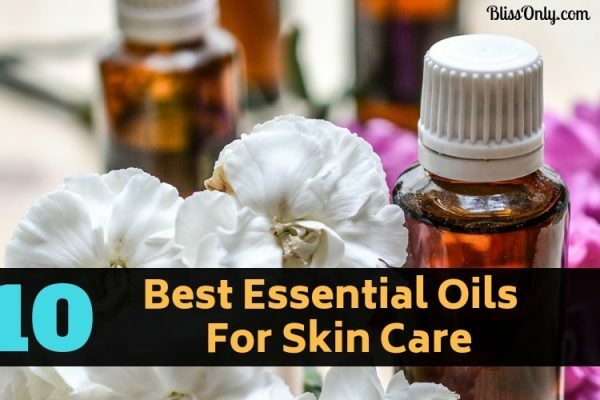 Mix 3 tablespoon of apple cider vinegar, 2 tablespoon of coconut oil, 3 tablespoon of aloe vera juice and 15 drops of lavender essential oil to a 1 ounce of water and apply this mixture to soothe your sunburn. 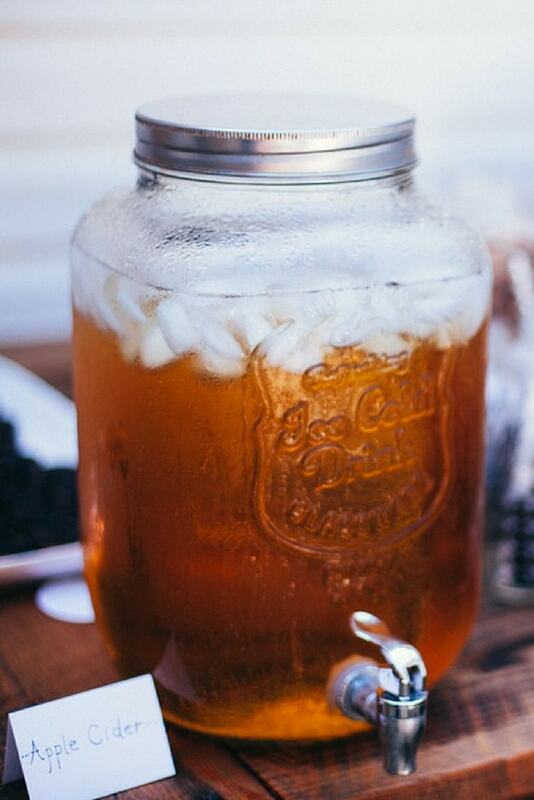 Keep it in the refrigerator to get cool relief. Apple Cider Vinegar is very beneficial for your skin including treatment of acne and scarring. ACV contains antibacterial and healing properties which help in improving skin health by killing off acne-causing bacteria. Take 1 tablespoon bentonite clay, 1 teaspoon activated charcoal and mix it with 1 teaspoon apple cider vinegar and few drops of water. Make a smooth paste and apply it on cleansed face. Keep this 20-30 minutes then rinse it off with normal water. Repeat 2-3 times a week. Apple Cider Vinegar can be a great natural remedy for preventing seasonal allergies. It contains healthy bacteria that boost your immunity and helps you fight with your allergies. If you feel like your allergies are acting up then try diluting 1-2 tablespoons of apple cider vinegar in water and drink the mixture. Acid Reflux is one of the major stomach issues. It is caused by low acid levels in the stomach. Apple Cider Vinegar can be a helpful ingredient here as it balances your stomach pH by increasing acid levels in the stomach. In order to prevent acid reflux try diluting 1-2 tablespoons of apple cider vinegar with 8 ounces of water and drink it before meals. If you are constantly sniffling, sneezing or feeling any other symptoms of cold then apple cider vinegar is a great natural cold remedy to opt for. Apple Cider Vinegar contains good bacteria which improves your immune system quickly and help you overcome the feeling of sickness. Take 1-2 tablespoon apple cider vinegar with warm water in a day. If you are looking for a natural household cleaner then you should have apple cider vinegar. Its antibacterial properties kill germs and keep your house spotless. Fruit flies can be a pest and degrade the quality of fruits. But it is very easy to get rid of fruit flies through apple cider vinegar fly trap. Just pour some apple cider vinegar in a cup and add a few drops of dish soap to it so that any trapped flies sink and you are good to go. The armpits are a major breeding spot for bacteria which make body odor worst. Apple Cider Vinder contains antibacterial properties which kill the bad body odor and make a great natural deodorant. Simply put a bit of apple cider vinegar with your fingers and apply it under your arms to neutralize your body odor and keep you fresh. Apple Cider Vinegar can be very beneficial for treating dull or dry hair. Try mixing 5-6 tablespoons of apple cider vinegar with one cup of water. After applying shampoo to your hair and thoroughly rinsed, pour this mixture on your entire scalp, let it run down the length of your hair( but be careful about your eyes). Massage the mixture on your scalp as it will stimulate circulation and make your hair shiny. Let it dry naturally. Do not rinse hair after applying apple cider vinegar hair rinse and don’t worry about the smell, it will fade away when hair gets dried. Apple Cider Vinegar works effectively in boosting metabolism and helps burn excess fat during the workout. Try adding one tablespoon of apple cider vinegar to your water bottle and drink it during the day (but avoid drinking it during, pre and post workout). 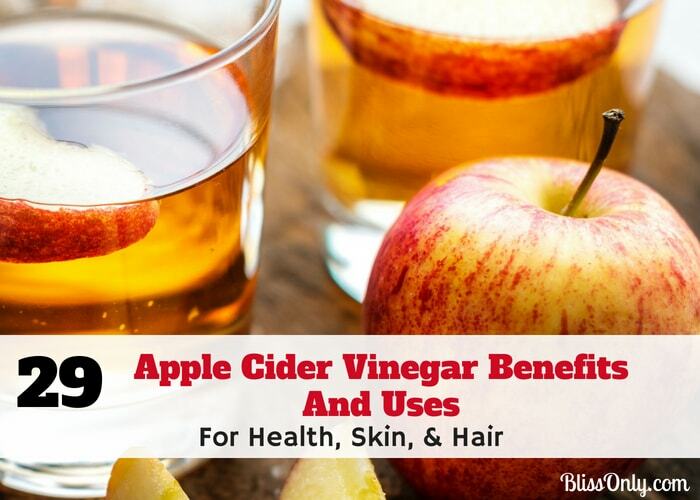 Apple cider vinegar has the antimicrobial property which can kill bacteria and fungus, common underlying causes of dandruff and hair loss, making it a fantastic natural cure. It exfoliates the scalp and helps hair to regrow effortlessly. Mix 1 tablespoon of lemon juice, 2 tablespoons of apple cider vinegar, 5 drops of tea tree oil with 1 cup of fresh yogurt. Apply it on your scalp and hair and rinse it off with natural or organic shampoo after 30-40 minutes. Repeat 2-3 times a week. Apple cider vinegar is a fantastic natural detangler and effective because its natural acidity helps to smoothen down the cuticle, encouraging knots and tangles to slip out and allowing a brush to glide through more easily. Take 2 ounces of water and mix 1/4 cup apple cider vinegar, 5 tablespoon aloe vera juice, 2 tablespoons fractionated coconut oil. Store it in a spray bottle and apply it to hair for smooth and shiny hair. Shoes plus hot weather produces foot odor or even infections such as athlete’s foot. Foot odor and infections happen when the bacteria that live on your skin and in your shoes eat your sweat. Apple cider vinegar kills bacteria and fungus responsible for foot odor. For a vinegar soak, combine two parts water with one part vinegar in a tub of warm water and soak for 15 to 20 minutes daily for few weeks. Take out your feet from vinegar soak then wash it with antibacterial soap. Then, apply moisturizer to your feet. Vinegar makes your skin inhospitable to bacteria. One note of caution: do not use this soak if your feet have open sores, scratches or cuts or if the soak irritates your skin. The anti-inflammatory properties of apple cider vinegar soothe irritated and inflamed skin, and acetic acid softens skin to help ingrown hairs grow out more easily. 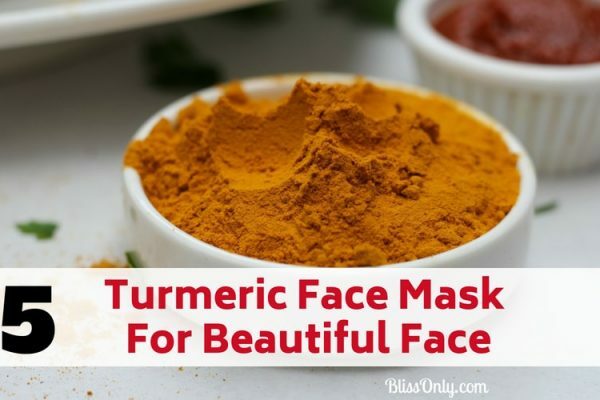 It exfoliates the dead cells and helps unclog blocked pores. Mix 1 tablespoon of apple cider vinegar and few drops of tea tree essential oil with 1 tablespoon of water. Apply the mixture to the affected area with cotton 3-4 times a day. Apple cider vinegar has the antimicrobial properties with kills microbes which causes acne, blackheads, blocked pores. Washing makeup brushes with vinegar, you can avoid these skin disorder. Combine a tablespoon of ACV with warm water, plus squeeze half a lemon in for a fresher scent and swirl your makeup brushes around in it for 15-20 minutes and then wash it with soap. Apple Cider Vinegar works well in whitening yellowish nails as it contains acetic acid and malic acid which help reduce the discoloration. Apart from that apple cider vinegar also has antifungal and antibacterial properties that can help keep your nails free of any kind of infection. Take 1 cup of lukewarm water and 1 cup of apple cider vinegar and mix them. Now, dip your hands in the bowl and leave it in for about 20 minutes. Once done wash your hands with cold water. Pat dry and apply some olive oil on your nails and cuticles. Do this two times a day for effective results. Despite having many benefits to health apple cider vinegar may have harmful effects on health too if you consume it in a large amount. The harmful effects of apple cider vinegar include erosion of tooth enamel, burning of throat or skin and decreased levels of potassium in your body. Always make sure that you are drinking apple cider vinegar diluted with water instead of drinking it straight. It would be better if you start with a small dose of apple cider vinegar. 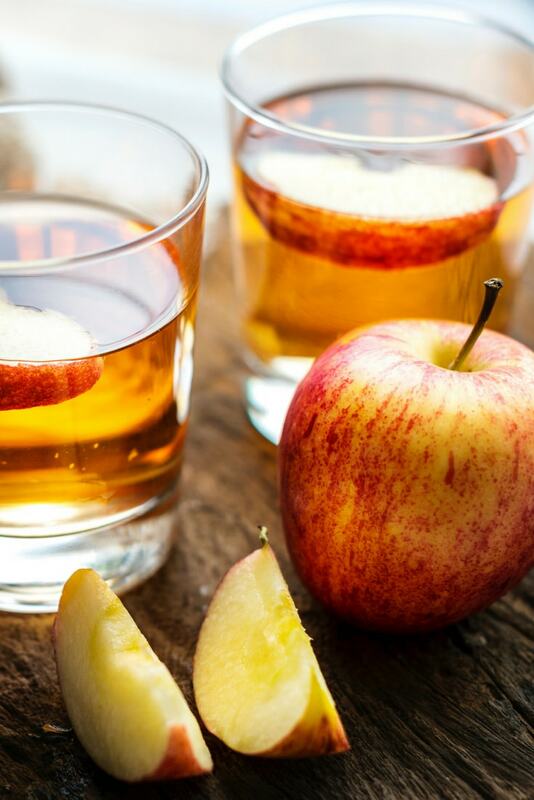 If you are taking blood sugar medication or suffering from heart disease then you should talk to your doctor before using apple cider vinegar. Last but not the least apple cider vinegar should not be considered as a quick fix or remedy when it comes to your health. Instead, it should be paired with a healthy diet and lifestyle to actually see the results.